How do I Build Winter Sunrooms? When looking to invest in a home-improvement project, many people choose to build a sunroom. A sunroom provides a great return on your investment; DoItYourself.com says that the return averages 89%-115% of the original cost. Turning your existing deck into a sunroom allows you to add an extra room to your house without expanding the footprint of your house and cutting into your yard space, and allows you to utilize that space year-round. It can also benefit your health: scientific studies have shown that exposure to sunlight can help with depression symptoms. Take measurements for your sunroom, and scout the location where you'll be building it to determine the suitability for different materials. Determine how much sun the room will get, and if there are any trees nearby that might hit the glass. For instance, if your sunroom will be getting a lot of sun, you might consider tinted glass. Tempered glass is stronger than standard glass. If you want to use it year-round, you'll want energy-efficient glass which would provide insulation against the cold outside air. 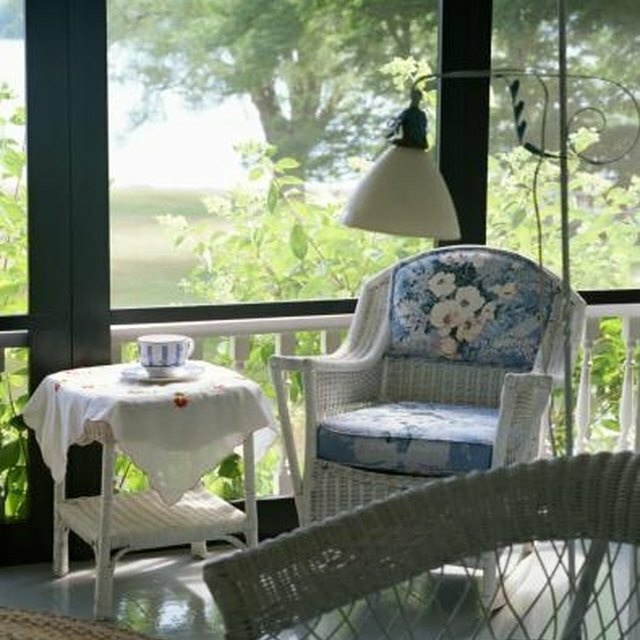 Look online or in magazines for ideas on how to design your sunroom, or contact companies or contractors who build them. They can help you design a sunroom that will fit your particular house. Decide if you want to have your sunroom custom-built on-site, or if you'll have it pre-fabricated (built in a factory, then delivered to your house as a single unit). Pre-fab units can be 10-15% cheaper than custom-built sunrooms, but a custom-built room may be more compatible with your house. Check with your local government to see about any permits, variants or inspections you might need done before you build. Hire the contractor or company to build the sunroom. For a custom-built room, hire a general contractor. How Do I Design a Driveway Canopy?